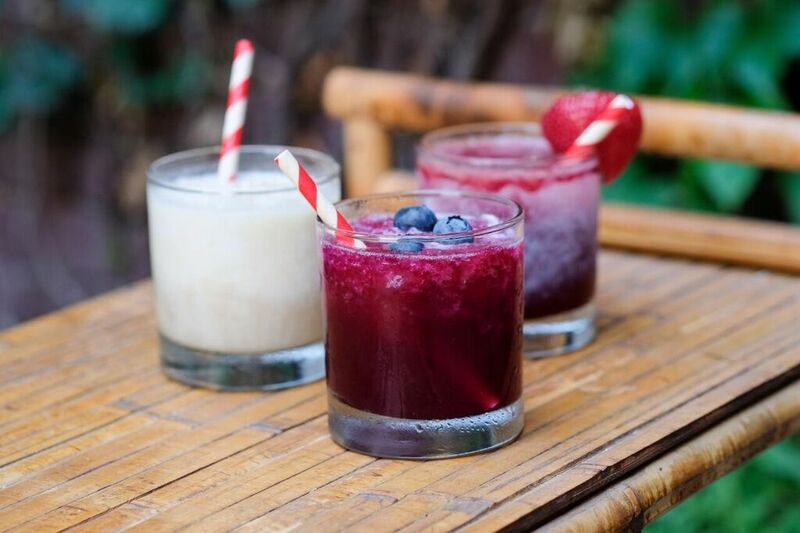 Each Wednesday between the hours of 5PM-7PM the areas of Avenue of the Arts, Center City East, Center City West, and Rittenhouse Square participate in Center City Sips. Over 80 participating locations have $5 cocktails, $4 wines, $3 beers, and appetizer discounts. Here are this week’s best deals. Chima Brazilian Steakhouse: Right on JFK Boulevard, Chima Brazilian Steakhouse provides a great dining experience and stellar atmosphere. During Center City Sips the $6 Cocktails are: Big Ginger (2 Gingers Irish whiskey & ginger ale), a Negroni (Beefeater gin, Campari, sweet vermouth, orange twist), and The Cheryl (Hornitos 100% Blue Agave tequila, agave nectar, muddled with fresh limes). Also, try their Pichana sliders, beef carpaccio, and caprese skewers for just $5. 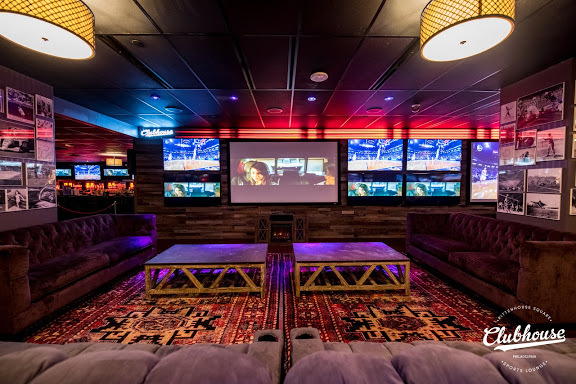 Clubhouse Sports Lounge: Clubhouse Sports Lounge is a fairly new fixture in the city. 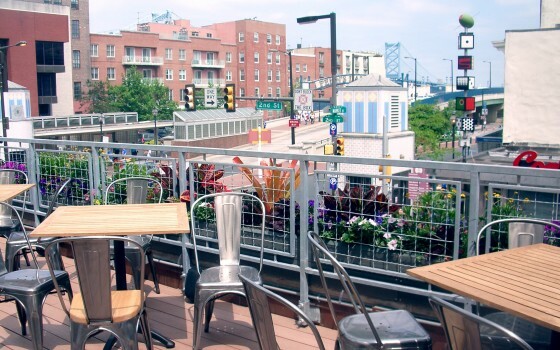 For their first Center City Sips, the trendy sports club and bar has a great selection. Guest can order up $5 Riesling, Chardonnay, Merlot, and Cabernet Sauvignon. The signature cocktail is the Paloma(Hornitos tequila, grapefruit juice, club soda, and lime) during Sips. Try any of their flavorful discounted appetizers which include Cheesesteak Spring Rolls, Chicken tenders, Buffalo Chicken Empanadas, and much more. Concourse Dance Bar: Concourse Dance Bar is also a newbie to the city and the Center City Sips experience. Stopping by this retro-themed hotspot during Sips has several perks. For just $6 you can get Well drinks, Hornitos Tequila and a mixer, or Jack Daniels and a mixer. Enjoy $5 Pinot Grigio and Rose during these wallet-friendly hours. There are also $4 Yuengling drafts, Budweiser cans, Bud Light cans, Miller Lite cans, and Coors Light cans up for grabs. Cuba Libre: This fantastic Cuban cuisine restaurant and late-night salsa spot has great deals for Old City Eats. Come to Cuba Libre and tryMama Amelia’s Empanadas for just $5. They also serve up $10 Single Prop Rum Punch in branded coconut and $5 Single Prop Rum Punch. Beer drinks can enjoy discounted Victory Summer Love each Thursday. The Plough & the Stars: The Plough & the Stars is a former bank that can serve up the best in Irish pub grub and brews. The half-priced appetizers during Old City Eats consists of mussels, Plough Tapas, Mushroom Cheese Fricassee, Jumbo Lump Crab Cake, and Battered Sausages. They also have $5 Old City Iced Tea which includes Faber Liquor and $5 pints of Hoegaarden. Revolution House: American eatery Revolution House is known for its rustic and reclaimed decor, beautiful outdoor seating, and fantastic menu. Each Thursday try $6 Firecracker Shrimp, $6 Guacamole plus Malanga Chips. Be sure to wash your appetizers down with a Saratoga (Faber Orange Vodka, pineapple, and grenadine) or a $4 Victory Summer Love. Wawa Welcome America Takeover Part 1: This Thursday from 12 P.M. – 2 P.M., Wawa will be giving away free lunch. Come to the Independence Mall and National Constitution Center’s lawn for a free portion of a mega hoagie, entertainment, activities, and more. The same day, at City Hall, Wawa will be hosting a Summer Love Launch Party. There will be live music by Philly act Chill Moody, carnival games, performers, prizes, photo areas, and more. The Schmidt’s Commons will be hosting a Red, White and Blue Beer B-Q this Friday night from 5 P.M.- 8 P.M. There will also be a screening of the hit film E.T. after the party. Parks on Tap: Parks On Tap is at Columbus Square this week. There will be masses of people stopping by food trucks, the best brews, and plenty of activities. On Thursday from 6 P.M. – 7 P.M., there will be free yoga in the park. 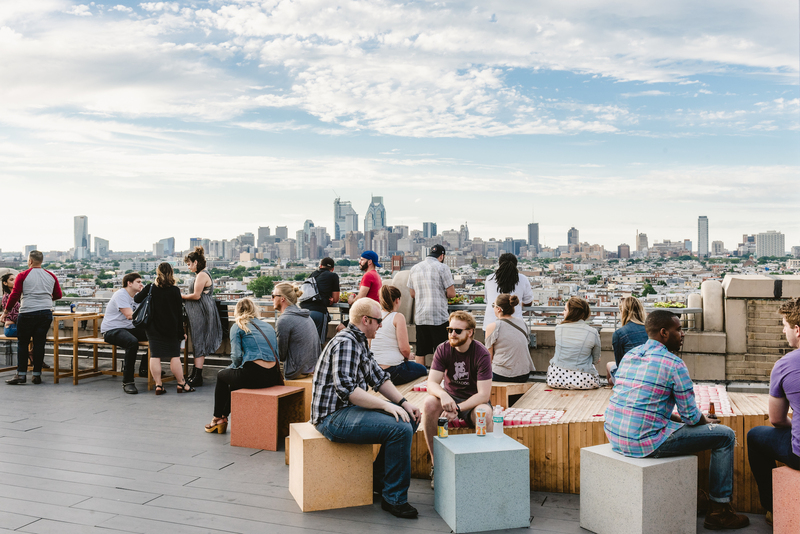 The hours for this roaming beer garden are Wednesday and Thursday 5 P.M. – 10 P.M., Friday 4 P.M. – 11 P.M., Saturday 1 P.M. – 11 P.M., and Sunday 12 P.M. – 10 P.M.
Brews & Views: Parkway Central Library’s rooftop at the Free Library of Philadelphia will be transformed into a fantastic beer garden through July 3rd. This series event offers up craft beers, cocktails, wines, and plenty of small bites. Friday Night Live: This Friday night come out to Dilworth Park for Friday Night Live from 5 P.M. – 8 P.M. 93.3 WMMR will be hosting free live music powered by Live Nation from 5:30 P.M. – 7:30 P.M. WMMR DJs will be making appearances and there will be drink specials at the Air Grille. Wawa Welcome America Takeover Part 2: The Philly Ice Cream Scoop is this Saturday from 11 A.M. – 5 P.M. at Reading Terminal Market. The festival will include 14 tremendous ice cream makers. Also this Saturday there will be an On the Delaware Music Festival at Pennypack Park from 11 A.M. – 8:30 P.M. There will be Red, White and Brew Fest this Saturday at SugarHouse Casino from 5 P.M. – 9 P.M. US Air Guitar Championships: This Friday night, Johnny Brenda’s will be hosting the US Air Guitar Championships. Time to claim glory and show off all your air-strumming skills this Friday night. The event begins at 9 P.M.
Classic Hip Hop Night: The Voltage Lounge will be hosting a Classic Hip Hop night this Friday night. From 10 P.M. – 2 A.M., you can hear everything Biggie to Big Daddy Kane. DJ Dave Paul will be spinning the classic hits from this genre released between 1979 and 1999. The Dollar Jawn: This Saturday night come out to gold and Social for The Dollar Jawn. This blowout day party will be booming from 3 P.M. – 6 P.M. There will be $1 admission, $1 drinks, and $1 wings with RSVP. The rooftop soiree will be blasting hits while you sip and dance under the sun.